When your dog gets sick or injured, it takes a toll on you, your furkid and your wallet. Veterinary treatment is costly and how much you’ll pay depends on the severity of your dog’s illness or injury and what follow-up care he’ll need. So how do you help your best friend if you need help with vet bills? We’ve found six ideas that any pet parent can do! A Maltese at the vet’s office. Photography by Shutterstock. This works similar to your own savings account for medical costs. Some banks and credit unions offer pet savings accounts, with great interest rates and perks when you open an account: free stuff, monthly giveaways or giving back to pet charities. Beclo Community Credit Union in Pennsylvania, for example, offers a “Critter Club” pet savings account with no minimum deposit required. Accounts that have $75 or more are automatically entered for monthly giveaways. They also get rewards and discounts from various Critter Club partners, such as a 10-percent discount on local dog grooming services or free shipping from a dog treat manufacturer. If your bank or credit union doesn’t offer a pet-specific account, you can always open a separate savings account. How much should you put into your pet savings account? Talk to your veterinarian and see what they recommend. Many pet owners set aside around $300 to $400 a year, but work up to having at least $3,000 to cover any unexpected emergencies. Just like insurance for your home or car, there’s pet insurance, too. There are 12 main pet insurance providers in the United States, including Nationwide, Trupanion, Pet Plan, Figo Pet Insurance, Healthy Paws and the ASPCA. The types of plans, and what they cover, vary from company to company. For example, the ASPCA offers four types of plans called Levels, with its Level 1 covering only accidents or illnesses. The Level 4 plan, however, covers accidents and illnesses along with some alternative or behavioral therapies. Most pet insurance companies reimburse you for up to 90 percent of medical costs if your dog gets sick or has a medical emergency. Plus, more workplaces are offering pet insurance to their employees at discounted monthly rates. The pros outweigh the cons if you need anything beyond that — and you will, at some point in your dog’s life. A pet savings account and pet insurance are great preemptive measures to help pay your vet bills. But what if you don’t have enough in your account, or you can’t pay costs up front as pet insurance companies require you to do? If that happens, look into vet-specific loans or credit cards. The drawback to going this route? Your options are limited. Currently, the only credit card available for veterinary-related bills is CareCredit. This card is accepted at most veterinary practices, however, and you often won’t owe any interest on your balance if you pay it off within a certain time period. There are two vet-specific companies that offer loans: Vetary and Scratch Financial. Both offer loans for vet bills, with Vetary providing a digital Mastercard that veterinary practices can input into their payment system. To use Scratch Financial, your veterinarian must be part of their network; however, if you suggest your vet, Scratch Financial will reach out to them. Once you are approved, both companies pay your bill upfront and you pay them back through monthly payments. River (formerly known as Magic) was found with a broken femur. It was initially thought she would need surgery to fix it or amputate it, so her foster parent raised the funds needed through crowdfunding. Thankfully, River didn’t end up needing surgery and her leg healed up fine. The funds were donated to another worthy cause! X-ray: Photography Courtesy Stockton Animal Shelter, Stockton, California. River: Photography by Jessica Pineda. There are lots of people ready to help those in need, including pets. Reach out through crowdfunding websites such as GoFundMe, Plumfund, PetChance, PetFundr or YouCaring — it’s easy to set up a page, and they’ll do the work of collecting payments and providing tools to help promote your cause. Most crowd-funding pages charge a low-cost fee based on how much you raise, from 3 to 7 percent. YouCaring doesn’t charge a fee. There’s one major downside to crowdfunding, though. You’ll need to do a lot of leg work to promote your page, such as posting it on social media and asking your friends to spread the word. It helps if your dog has a compelling story. Before I adopted my German Shepherd Dog River (formerly known as Magic), she was found with a broken femur. The cost for treatment was estimated at $4,000. Her foster mom set up a crowdfunding page and sent out the rallying cry about this amazing, loving dog. People stepped up to donate, raising the funds needed in less than a day. Surgery actually wasn’t needed after an orthopedic surgeon vet reviewed the case. 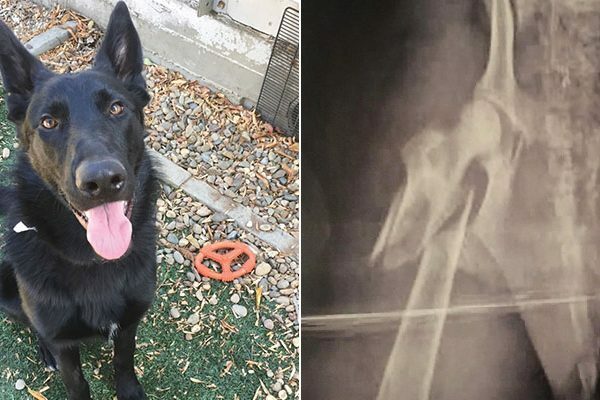 River’s femur ended up healing on its own. The funds were donated to a local German Shepherd Dog rescue. 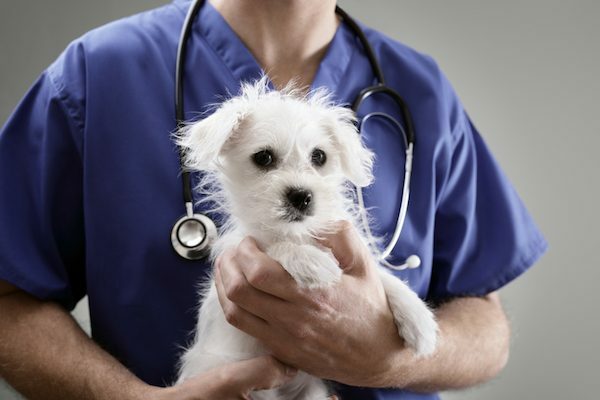 It can be tough for veterinarians to set up any type of payment plan for a pet owner. Their overhead costs are usually high, so it’s difficult to offer low-cost or discounted services. However, you might be able to work out a payment plan through companies like VetBilling.com or CareCap, which set up payments and minimize financial risks for vets. VetBilling.com and Carecap provide lists of veterinarians in their programs, though you shouldn’t rely on a participating veterinarian’s services after your pet gets sick or injured. A veterinarian who knows and trusts you will be more willing to agree to a payment plan. There are a number of organizations, charities and nonprofits out there that will help you pay most if not all your veterinary bills. They usually work with people who have limited means, or cover specific dog illnesses such as heart diseases or cancer. For example, the Hope Chest Charitable Foundation at Southeast Veterinary Oncology and Internal Medicine in Florida covers cancer, while the nonprofit Paws 4 A Cure seeks to help owners whose pets need care critical to their survival. If you are a veteran with a service dog, the U.S. Department of Veteran Affairs has programs in place to help you cover veterinary care costs. Veterinary bills are often costly, but there are a number of ways to pay them off. What do you recommend to someone who needs help with vet bills? The post Need Help With Vet Bills? 6 Ideas That Anyone Can Do appeared first on Dogster.